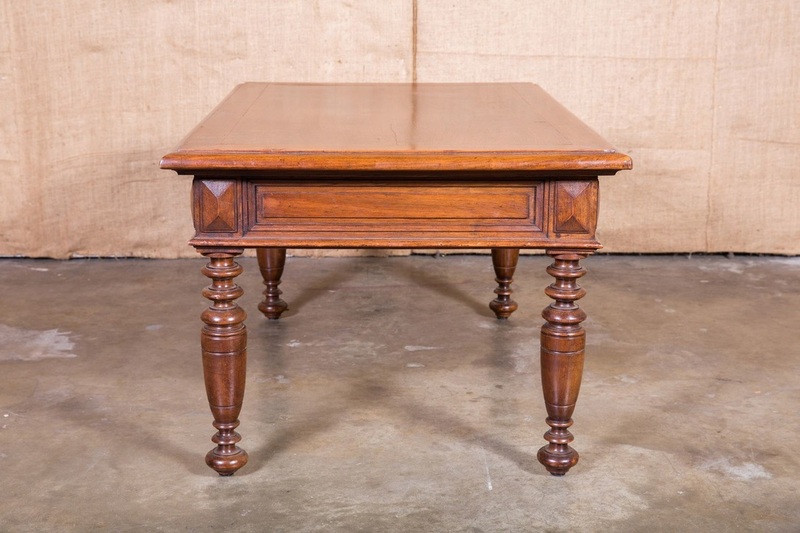 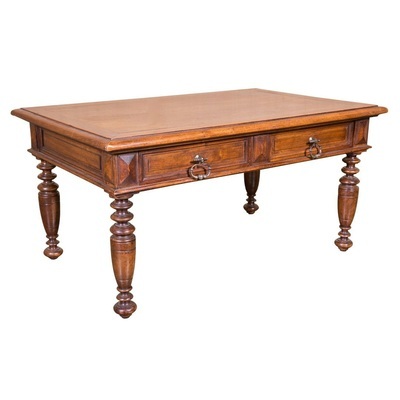 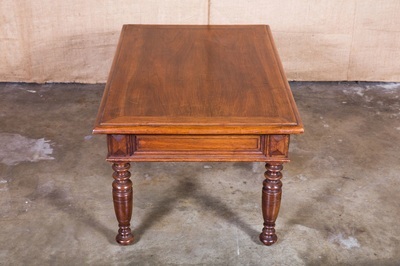 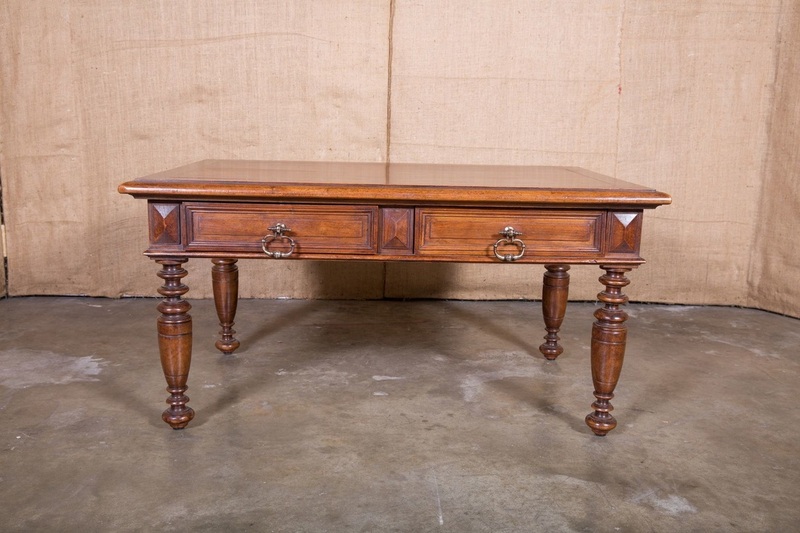 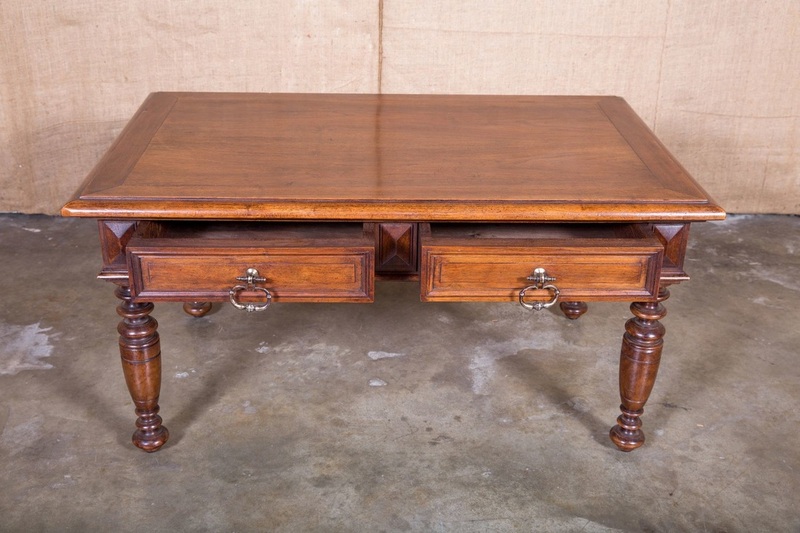 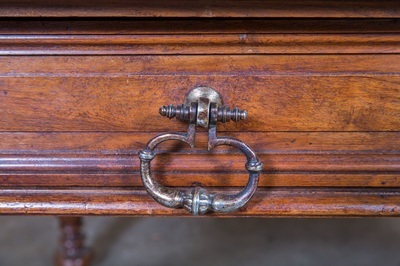 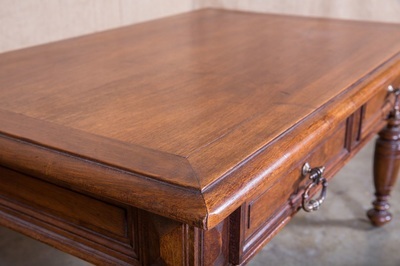 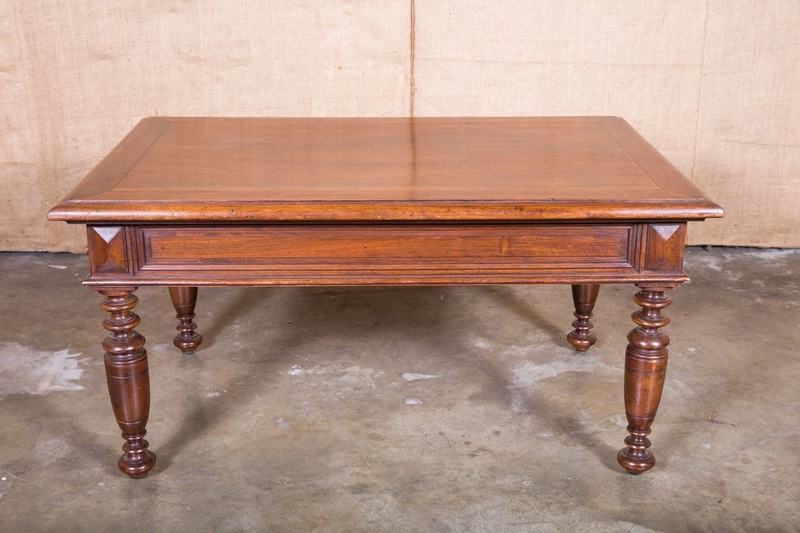 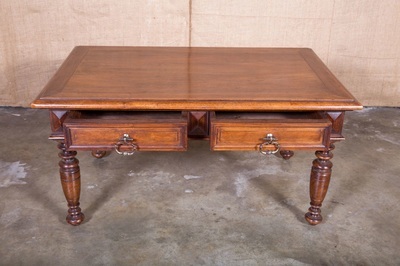 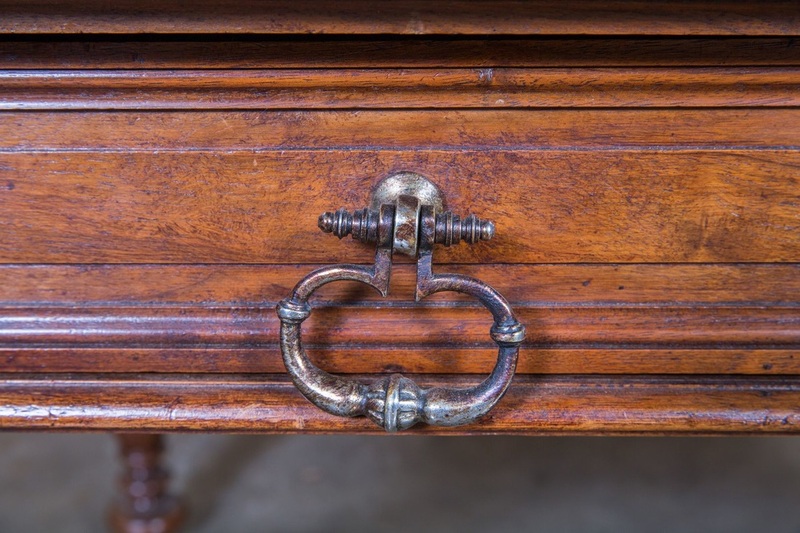 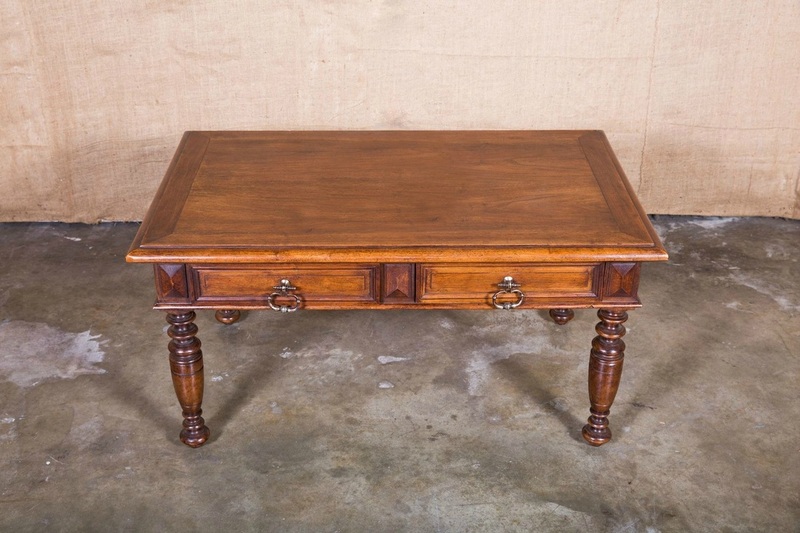 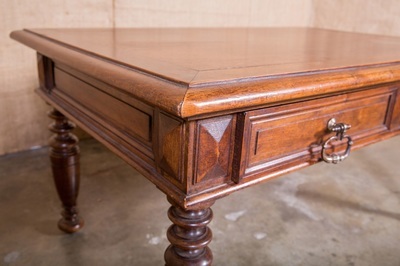 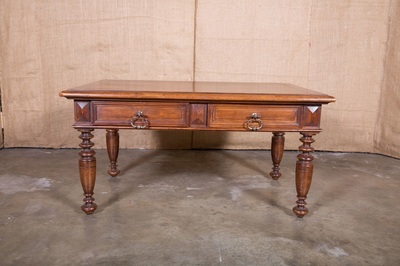 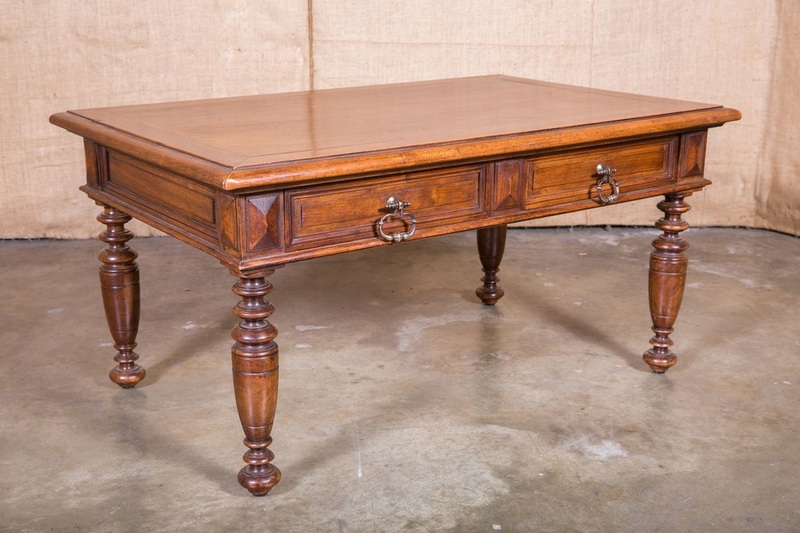 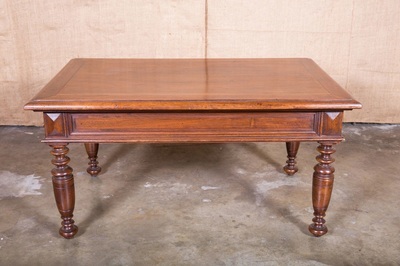 French Louis Philippe style coffee table in solid walnut with beveled edge top over two drawers. Circa 1880s. 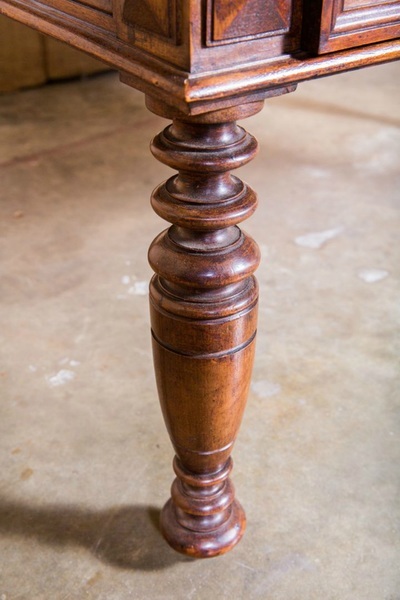 Resting on turned legs.